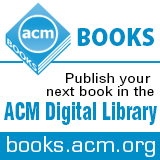 Welcome to the February 25, 2015 edition of ACM TechNews, providing timely information for IT professionals three times a week. The U.S. Federal Communications Commission (FCC) on Thursday is expected to approve new rules that would regulate Internet service like a public utility, which would represent the biggest policy shift since the Internet became a reality. The decision is a victory for numerous Internet companies, who mobilized last year after it seemed likely the FCC would pass regulations that some say would have allowed Internet service providers (ISPs) to create so-called "fast lanes," charging extra to companies for better access to end-users. These companies and others advocated for net neutrality and over the last year more individuals have sided with them, including President Barack Obama, who last November called on the FCC to regulate Internet service as a public utility. The FCC's new regulations would allow the agency to regulate Internet service as a public good and ban the creation of fast lanes. It also would ban the intentional slowing, or throttling, of any company's traffic by broadband providers and give the FCC greater authority to directly regulate Internet providers. Although lawmakers opposed to the plan are not expected to pass legislation to undo the regulations, ISPs and others likely will challenge the rules in court, which could delay their implementation. For a long time economists maintained that although new technology might displace workers and change the nature of their work, it would not result in a net loss of jobs. However, now some economists think the situation is likely to be more nuanced than that, as technology is quickly automating work that previously only humans could perform. For example, Rio Tinto mines in Australia now employ automated drills and trucks and will soon use automated trains to cart away ore. Computers around the world do legal research and can write simple news stories and stock reports. They also translate conversations and generate advertising and perform compliance due diligence at banks, all jobs that once required trained and skilled human workers. Meanwhile, self-driving car technology continues to advance and could reduce the need for human truck and taxi drivers. However, many economists believe these advances also will create demand for new jobs. Rio Tinto, for example, may have laid off truck drivers and drill operators, but it now employs numerous network technicians and "mechatronic engineers," a job category that did not exist as recently as five years ago. Others remain adamant that several problems, such as teaching machines how to see and reason like a person, will take decades to resolve, meaning automation will not advance through the workforce as quickly or completely as some fear. Intel Haifa researchers have developed a prototype mechanical eye that can read 300 labels of 300 items simultaneously and select the one the user is seeking. "There are endless uses for a computer able to analyze and understand a picture it takes," says Intel Haifa researcher Ofri Wechsler. "We want to put a small 'brain' in all these cameras to discard the 99 percent of the frames that are uninteresting and only send to the cloud or further analysis the few that contain something important worth looking at." Intel relies on deep-learning technology, part of a larger branch of scientific study called machine learning, which deals with developing computer systems that can learn autonomously. In deep learning, the computer needs to analyze without help from orders or conditions that a program previously defined. Wechsler says his work represents an evolution of computing ability, as well as a transition from an era in which humans learned to speak machine language to an era in which the machine learns to speak human language. "In the coming years, we'll see progress in the field of conceptual computerization and a transition to a language more natural for humans," Wechsler says. The White House is recruiting its fourth class of Presidential Innovation Fellows to spend a year working on government technology challenges such as improving access to education, improving business opportunities for entrepreneurs, preparing for the effects of climate change, and improving health care. The program aims to use the technology expertise of people working in the private sector to help the government improve its programs. "These are folks with technical acumen but [who] also are looking for ways to hack policy and bureaucracy, and break down initiatives into things that are doable today," says Presidential Innovation Fellows program director Garren Givens. Government agencies support the program by paying the fellows' salaries and developing ideas for projects. "We are trying to speed up that trial process and period so it is cheaper and faster to learn where things are working, so that we can move more investment into those areas," Givens says. Past projects include OpenFDA, a website that provides access to Food and Drug Administration data, and Lantern Live, a mobile app developed for the Department of Energy that provides information during power outages. Givens notes the program is moving away from hiring large groups of fellows at once, and instead plans to accept applications on a rolling basis and hire fellows as needed to help agencies. It has been 50 years since Intel founder Gordon Moore first articulated Moore's Law, the axiom that transistor density doubles about every 18 months. For half a century, Moore's Law has largely held true, but recently concerns about the physical limits of silicon chip manufacturing and issues with the latest 14-nanometer chips have raised questions about whether Moore's Law will continue to hold true. However, papers Intel plans to share at this week's International Solid-State Circuits Conference in San Francisco are meant to reassure the computer industry about the law's viability at least for the immediate future. Intel senior fellow Mark Bohr says the company is learning from the delays it experienced with its 14nm chips and does not expect them to be repeated with the upcoming 10nm generation, which is expected in 2016. "I think we may have underestimated the learning rate--when you have a technology that adds many more masks, as 14[nm] did...it takes longer to execute experiments in the fab and get information turned, as we describe it," Bohr says. He notes Intel's 10nm manufacturing line is already running 50-percent faster than the 14nm line in terms of major steps per day. Bohr also says 7nm chips can be made without upgrading to expensive, esoteric manufacturing techniques. Urgent steps need to be taken to secure mobile communications following reports that U.S. and British intelligence agencies hacked into Gemalto to steal mobile encryption keys, according to the World Wide Web Foundation, which was established by World Wide Web inventor Tim Berners-Lee. The foundation says criminal networks also could attempt to exploit the vulnerabilities. Gemalto's customers include AT&T, T-Mobile, Verizon, Sprint, and about 450 wireless network providers around the world. World Wide Web Foundation CEO Anne Jellema calls the news "truly shocking. Possession of these keys would allow these agencies to access private calls, Web browsing records, and other online communications without any of the legal safeguards and processes in place to prevent abuses of power." Jellema says the U.S. National Security Agency and Britain's Government Communications Headquarters should provide a full disclosure as to why they hacked Gemalto and how the keys were used, "and what judicial oversight and legal framework kept us safe from abuses. Urgent steps must be taken to prevent criminal networks from exploiting these vulnerabilities." A team of researchers from across the U.S. has solved the Kadison-Singer conjecture, a hypothesis about the mathematical nature of the way physicists can perform measurements in quantum systems. The researchers also say they made a breakthrough in a subfield of mathematics called graph theory, which deals with mathematical objects that can be used in a wide range of applications. After years of trying and failing to prove the Kadison-Singer conjecture, the researchers turned their attention to the graph theory problem. The researchers developed a method to solve the graph theory problem, and found they were able to use it to help solve the Kadison-Singer conjecture. "The purpose of these papers is to introduce a new technique to understand situations that mathematics previously could not understand," says Yale University researcher Adam Marcus. Yale professor Dan Spielman, in the process of working on the proof, wrote software that proved many smaller conjectures, each of which suggested Kadison-Singer is true. Spielman also constructed programs that would come up with random matrices on which to test the mini conjectures. "We tested them a lot [with computer programs], but not only could we not find counter-examples, but the conjectures looked really tight," Spielman says. The U.S. Intelligence Advanced Research Projects Activity (IARPA) is working on a new contest that will challenge government and private-sector entities to create a system for analyzing numerous streams of data from social media to black market malware storefronts to create predictions of what cyberthreats a given network may face ahead of time. The Cyber-Attack Automated Unconventional Sensor Environment (CAUSE) project is envisioned as a cybersecurity equivalent of systems that have been able to analyze various data streams to successfully predict political uprisings and the spread of diseases such as Ebola. IARPA's Rob Rahmer, who is leading the CAUSE project, says the competition is meant to help move the cybersecurity field from a reactive to a proactive posture. Such a system would not be perfect and would make mistakes, but Rahmer says it would help agencies and businesses spend their cybersecurity resources proactively. CAUSE is envisioned as a four-year race and IARPA currently is developing guidelines and determining what the prize for the competition will be. There already is strong interest in the project; about 150 would-be participants from the private sector and academia attended a recent informational workshop about CAUSE. One issue that needs addressing is what computing resources competitors will need to use; CAUSE would likely require supercomputer-level computing power. Researchers at Harvard University and the University of Colorado, Boulder analyzed 16,316 assistant, associate, and full professors across 242 schools in the U.S. and Canada between 2011 and 2013 and found about 25 percent of the institutions accounted for about 75 percent of tenure-track faculty. The purpose was to create a ranking system of the most prestigious schools in each subject, based on how successful their graduates were in finding jobs in academia. The researchers found 18 universities produce 50 percent of Canadian and U.S. computer science professors. The top 10 computer science schools are Stanford University, the University of California, Berkeley, the Massachusetts Institute of Technology, the California Institute of Technology, Harvard, Cornell University, Carnegie Mellon University, Princeton University, Yale University, and the University of Washington. The study also found 82 percent of doctoral graduates are hired by less prestigious universities than the one they attended, while 6 percent of people stay at the institution where they earned their Ph.D., and the remaining 12 percent move up, according to Boulder professor Aaron Clauset. He recommends aspiring professors write high-profile papers and ask leading professors from higher-ranked universities to serve on dissertation committees. New research calls for increased monitoring of the Dark Web by security researchers and government investigators. Criminal enterprises are looking to use the hidden portion of the World Wide Web for illicit drug trades, arms trafficking, and even terrorism, says a paper published by the Global Commission on Internet Governance. "The Dark Web has the potential to host an increasingly large number of malicious services and activities and, unfortunately, it will not be long before new large marketplaces emerge," warn the authors, former U.S. Homeland Security Secretary Michael Chertoff and Synergia Foundation president Tobby Simon. Governments, journalists, and dissidents have turned to this part of the deep Web for anonymity, but many cybercriminals also are committed to using this platform to prevent monitoring. Chertoff and Simon note the complex composition and design of the Dark Web pose a challenge to efforts to monitor activities. They are calling for a comprehensive security response, which includes mapping the hidden services directory, analyzing customer Web data for connections to non-standard domains, and monitoring social media sites that exchange information and addresses for new hidden services. Some Stanford University computer science students have formed CS + Social Good to understand the applications of computer science (CS) in a socially relevant way. Although CS + Social Good is not yet recognized as an official student organization by the university, its board hopes it will become official in the spring. For now, the group has been focused on gauging campus interest and connecting computer science students who are involved in social justice. "The idea behind the group is simply to motivate people to do projects that are socially relevant," says CS + Social Good co-president Manu Chopra. CS + Social Good is working toward its goals by creating a community of people who are interested in the topic. The group also wants to involve members of the community who are not studying computer science. "It's really important to bring together not only the CS community with each other but also with people from other fields, in mixers, in discussion sessions, in brainstorming sessions, to see how CS can connect," says CS + Social Good board member Megan Potoski. CS + Social Good hopes through such community building efforts, Stanford students will be able to find a way to make meaningful change in the world. American University (AU) researchers have developed the Computer Assisted Neighborhood Visual Assessment System (CANVAS), a Web application that helps accelerate the collection of research data. The researchers used CANVAS to rate 150 different features of neighborhoods in major metropolitan cities across the U.S. They found the app eliminated costly and time-consuming aspects of conducting research by utilizing Google Street View technology. "CANVAS takes Google Street View a step further by marrying its image data collection with Django software, providing a reliable, efficient, and comprehensive tool for conducting sociological research on a large scale," says AU professor Michael Bader. AU researchers currently are using CANVAS to rate features on streets in elderly neighborhoods in Washington, D.C., Montgomery County, MD, Prince George's County, MD, Fairfax County, VA, and Arlington County, VA. After the researchers rate the streets, they will use geostatistical computation to create a "surface" of each measure, and then Bader and colleagues will use the maps to determine neighborhood conditions associated with health outcomes among elders. He says the computer maps also provide a useful visual aid for policy makers. "This will help us know what challenges elders face in D.C. and how feasible it is for elders to successfully age in place without facing major physical obstacles," Bader says. There are four major obstacles facing developers of autonomous vehicles. First, the transition between human and software control is a big challenge in automating all kinds of processes. Human-robot interaction is difficult and the ability to do tests in this area is limited by the number of robots already performing real-world tasks. One possible solution is to make driving systems completely autonomous, which already has occurred in self-driving trains. Another problem facing autonomous vehicle developers is the weather, as modern machine-vision systems that use ordinary cameras cannot see as well in wet and misty conditions, which hinders the cars' navigation software. Equipping cars with a wider array of sensors, as well as embedding sensors into the environment, will help advance the technology. Security also is a major concern for autonomous vehicle developers. Car companies will thoroughly examine their software, but they will still have problems, and when issues arise, companies will need to fix them as fast as possible. Autonomous vehicle software also should require minimal effort on the part of the user. Finally, there are legal and personal issues, as manufacturers will have to show the cars are at least as safe as conventional vehicles. However, to demonstrate equivalent safety for self-driving cars, manufacturers will have to cover billions of miles autonomously, which is unfeasible without mass adoption.